Want to know the Windows 10 update file location? It is in the Windows installation folder but hidden. In this article, you will find out where it is. Windows 10 is the latest version of Windows operating system. It comes with lots of new features and settings accompanied with the overall user interface in comparison to earlier Windows OS versions. The Windows Update section is available in the new Settings app of Windows 10. In the earlier version of Windows, it is available in the Control Panel. To install the latest build in Windows 10 users have to open the settings app and navigate to Updates & Security -> Windows Update. On the right pane, users can check update status. In case, any update is available, then users can download it with just one click. The company has made lots of changes in the Windows 10. But there is one thing which lots of users want to know i.e. Windows 10 update file location. Don’t get confused with the term. It is a location of the folder where Windows Update automatically downloads the update file of the operating system. This file is further used to complete the installation of the update. The folder has “install.esd” file that can be used to create ISO image of the Windows 10 update file. Using this user can perform a clean installation of Windows 10. There might be other reasons too, but the above discussed are major ones. 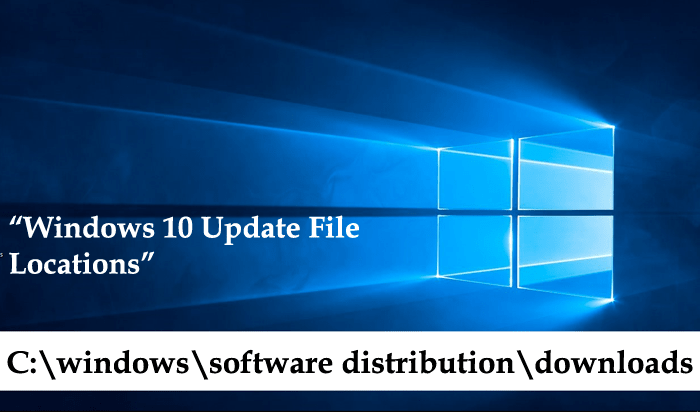 Just like the earlier versions of Windows operating systems the default location of the folder where Windows Update automatically downloads the update file of the operating system is same. 1. Launch File Explorer in Windows 10. For that, Press WIN + E keyboard combo. 2. Navigate to the following location: C:\windows\software distribution\downloads. Basically, the downloads folder is the default location of Windows 10 update file. Here in this folder, you will find out all Windows 10 update files. 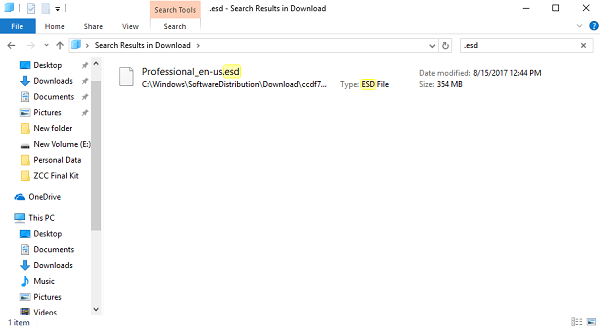 Tip: In case, you want to create the ISO image of the latest Windows 10 update file, then in the Download folder search .esd file using search bar available at the top right side of the File Explorer window. 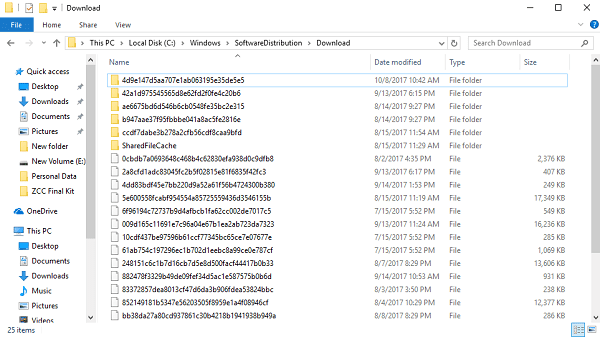 If you’re using a different version of Windows 10 edition then chances are high that you might see a .esd file with different name. In my case, it’s “Professional_en-us.esd” because I’m using Windows 10 Pro editions. Alternatively, it can be “install.esd” file. So technically this “install.esd” or “Professional_en-us.esd” is the windows 10 update file name. You can download ESD Decrypter to create ISO from ESD file. Check out details tutorial on Microsoft Answers. Talking about the size of the Windows 10 update file, the size can vary from 2.7 GB to 3.3 GB or around depending on what edition of Windows 10 you’re using on your system. 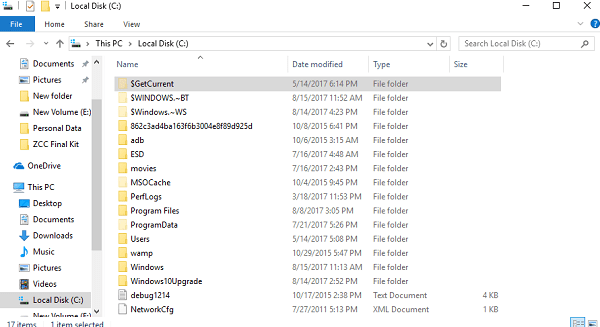 In case, you’re interested in knowing about the location of Windows 10 update log file, then it is available in the C: with the folder name as $GetCurrent which is hidden by default. You can enable hidden items option in the File Explorer to view this folder. I hope you find this article useful, let me know your feedback in the comments. Previous Post« Previous Find Out: Where is the Calculator in Windows 10?